i understand this is an unframed a4 bespoke art print. i understand this is an unframed a4 bespoke art print. (required)Yes I understand. i understand this is an unframed a4 bespoke art print. (required)Yes I understand. i understand this is an unframed a4 bespoke art print. (required)Yes I understand. i understand this is an unframed a4 bespoke art print. (required)Yes I understand. 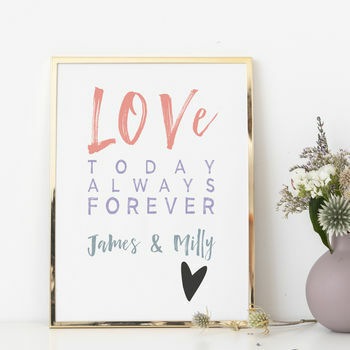 We love this modern yet classic typographic design - it makes a striking and unique gift for the happy couple. 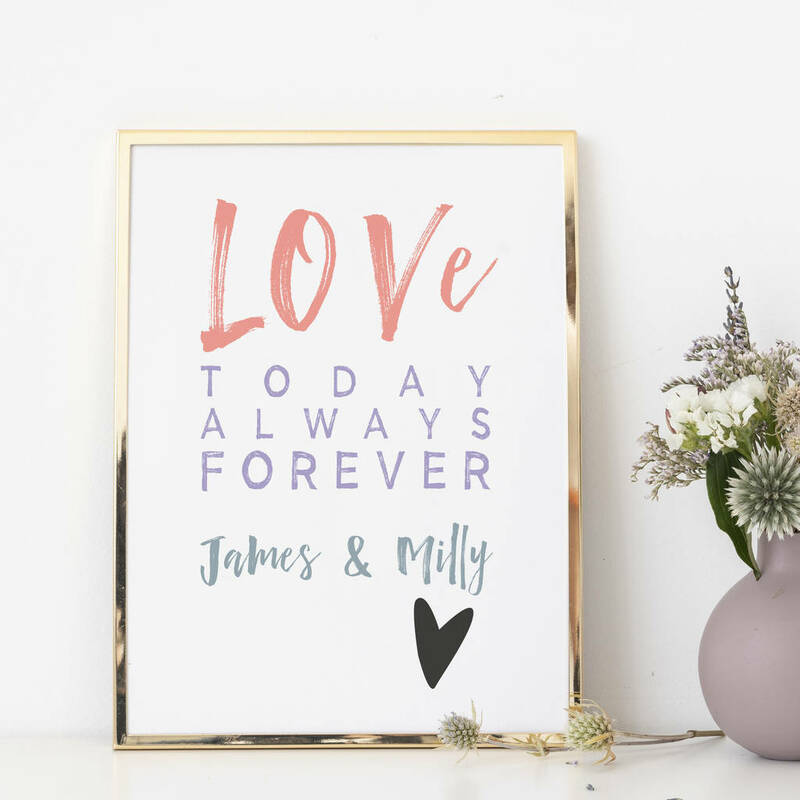 The "Love today always forever" print is customised for you by so close studio, just let us know the names and we will create the artwork for you and print it onto a high quality art card. Designed, printed and packed in the United Kingdom. Image printed on high quality 250gsm art board. 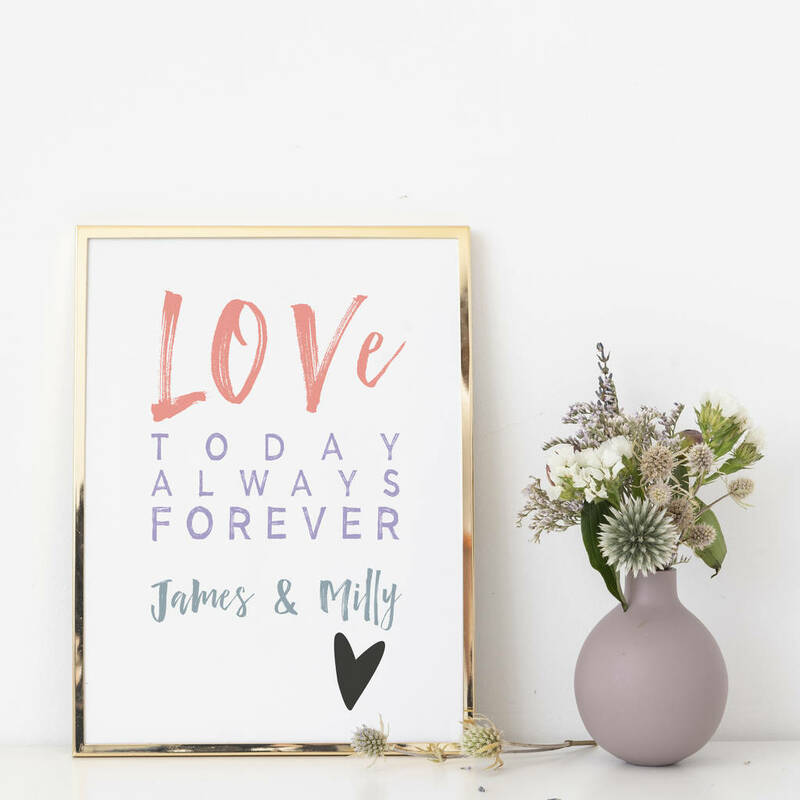 UNFRAMED - This print is not supplied with the frame in the main photo, this is for inspiriation purposes only.